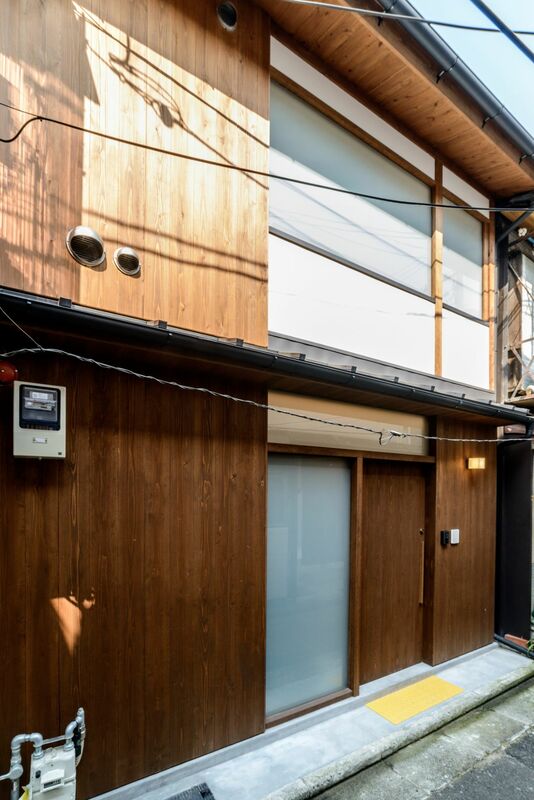 A modern take on the traditional Japanese machiya house. 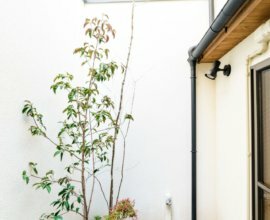 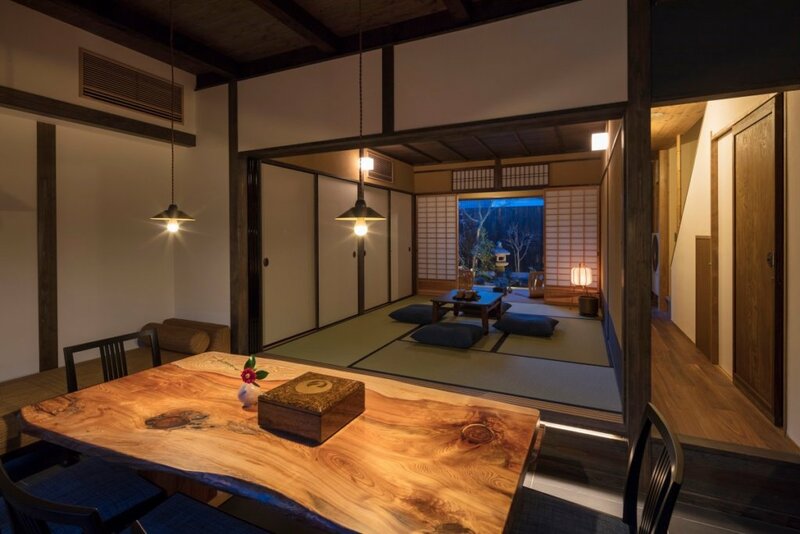 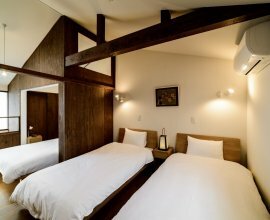 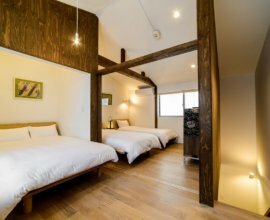 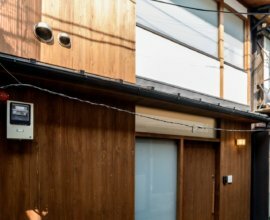 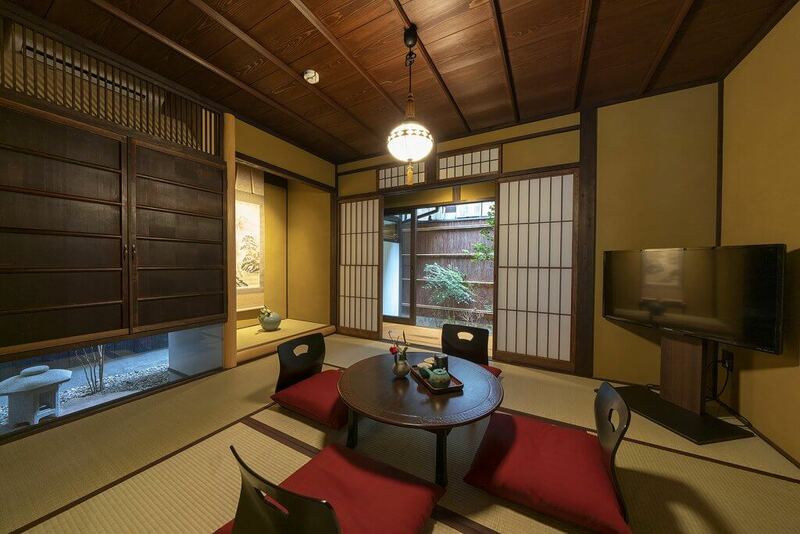 Immerse yourself in historical Kyoto, and local life by renting an entire machiya house for yourselves. 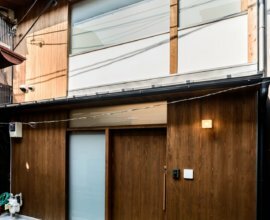 "Aoshida” machiya house was designed to embody not only the traditional, but the modern. 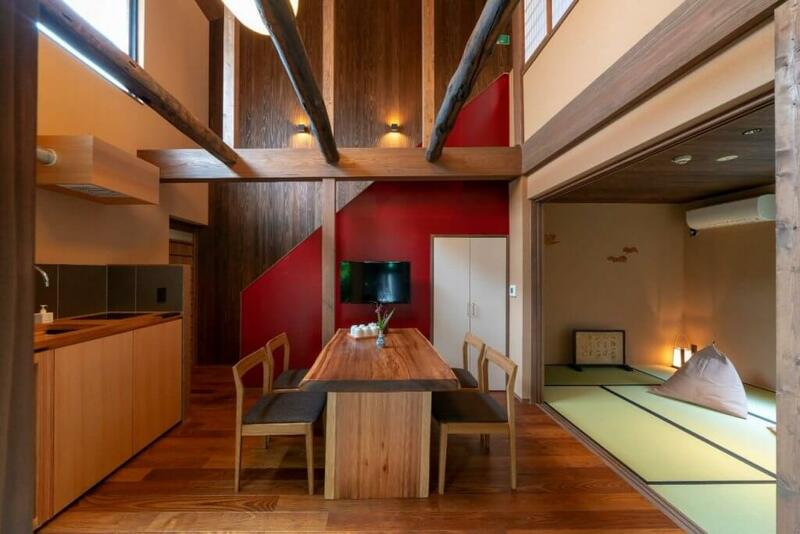 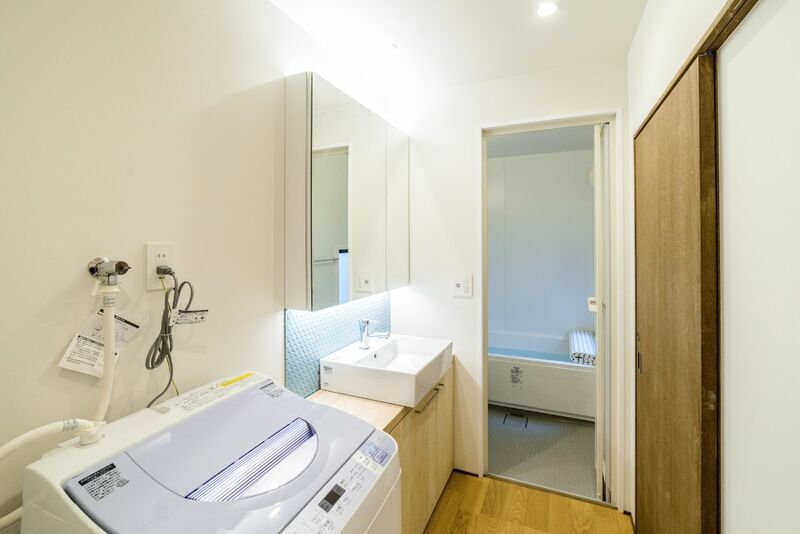 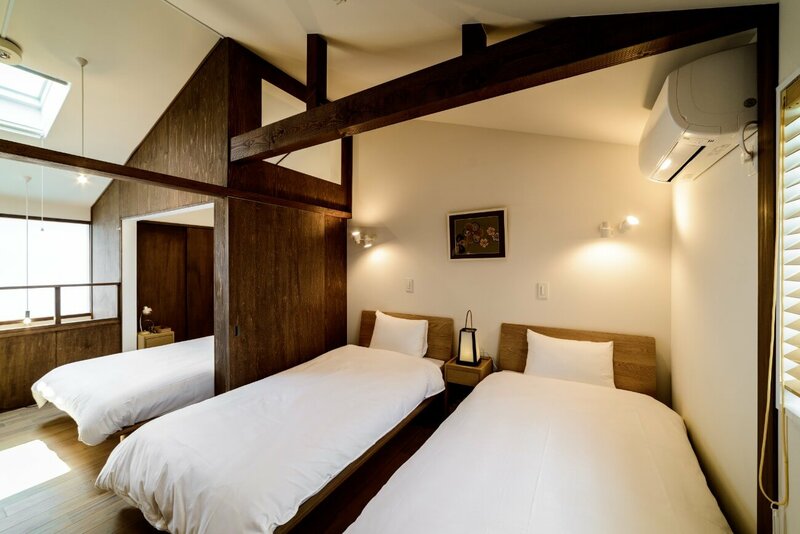 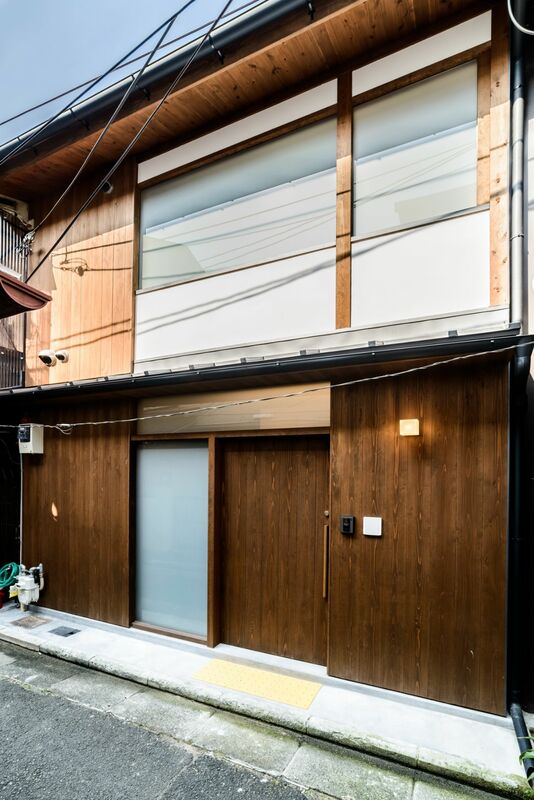 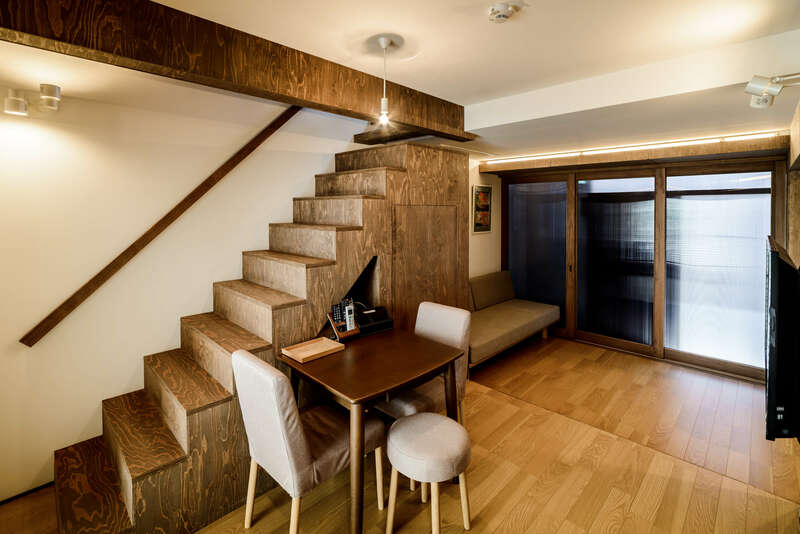 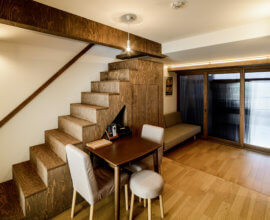 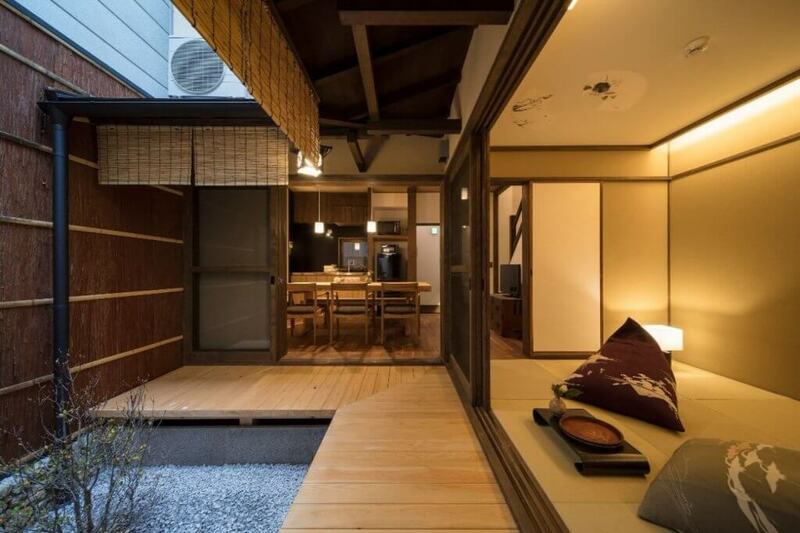 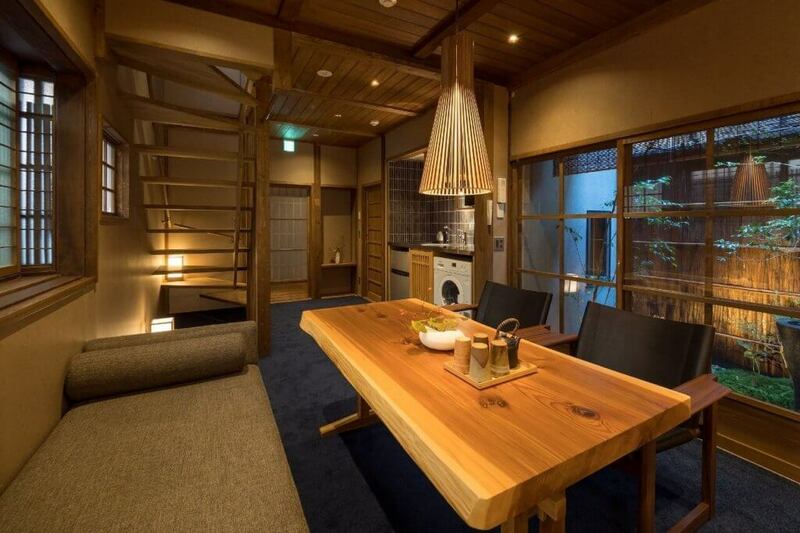 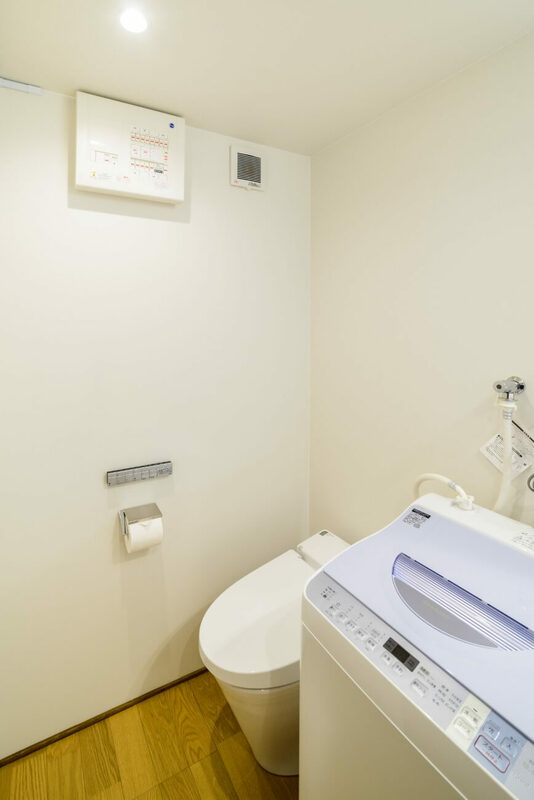 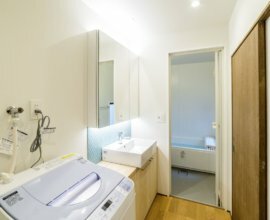 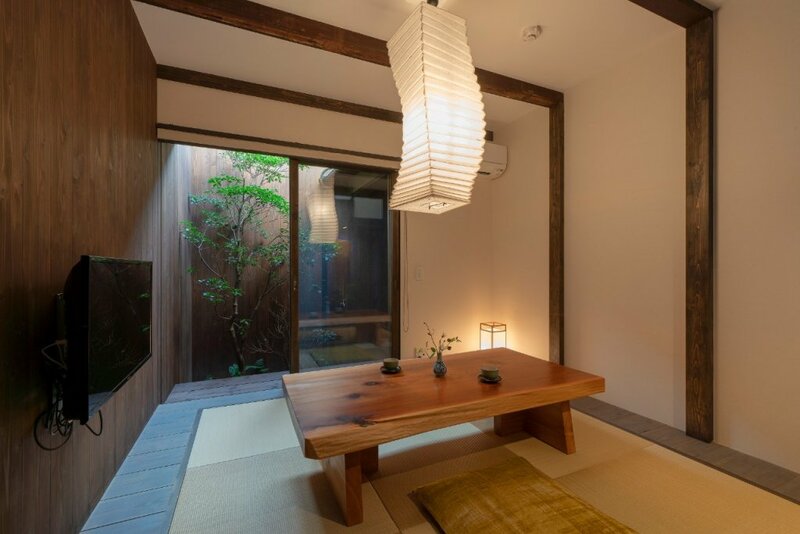 Japan, Kyoto in particular, is known for its narrow streets and compact houses -- but this machiya cleverly utilizes these features to create an airy space. 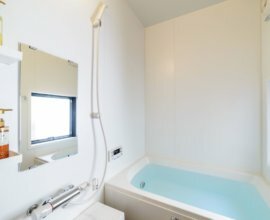 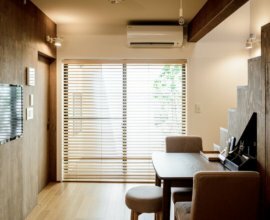 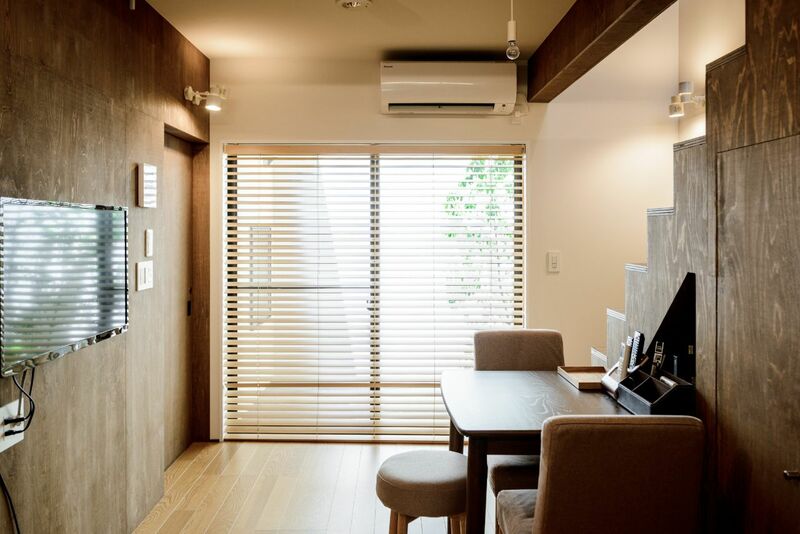 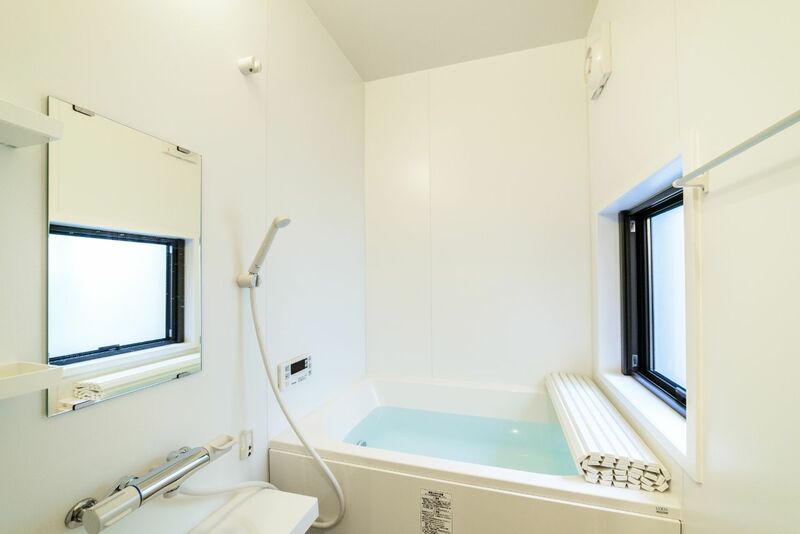 The main feature of "Aoshida" is its abundance of natural light -- large windows decorate each room of the house, opening up the space to present a warm & inviting atmosphere. 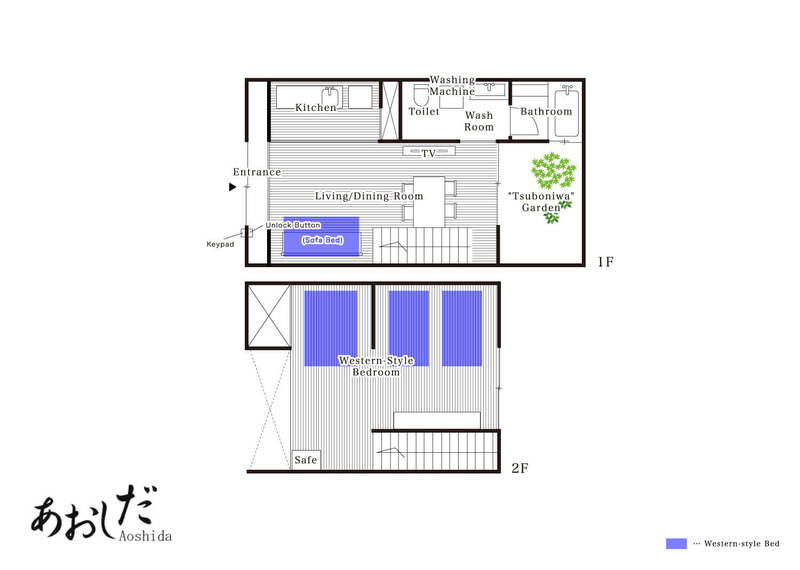 An open living and dining space Enter to find an airy living and dining space filled with beautiful natural light. 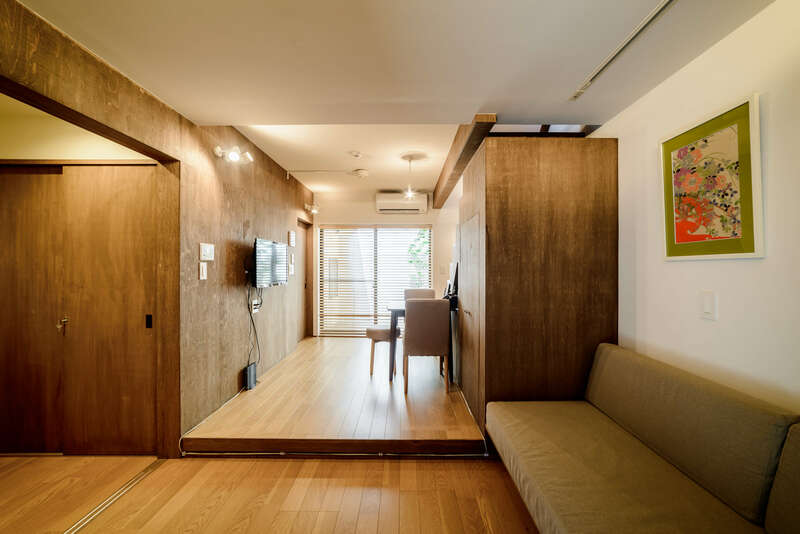 The rich woodwork adds a warm, welcoming ambiance to the space. 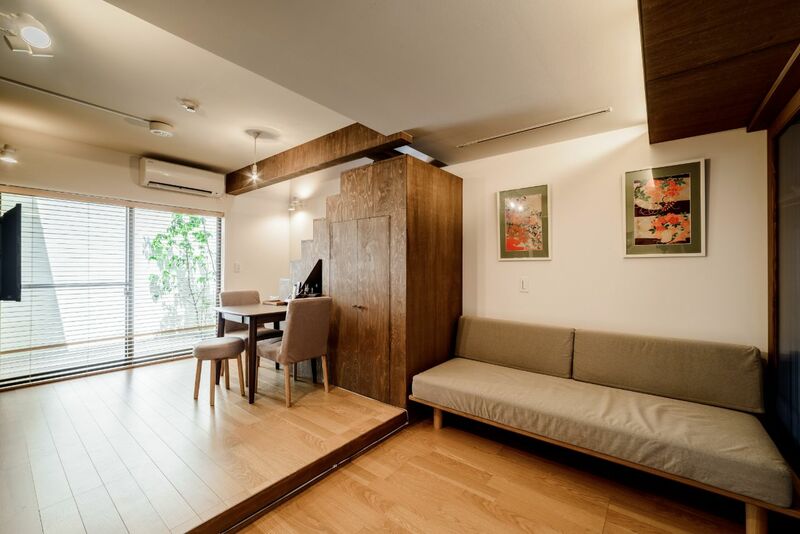 There is 1 sofa bed. 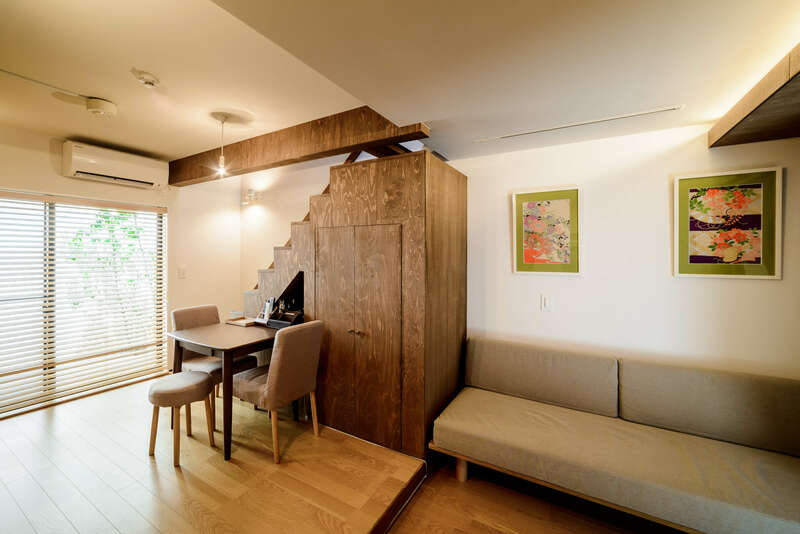 Kitchen Slide open the wooden doors just across from the sofa to reveal a furnished kitchen. 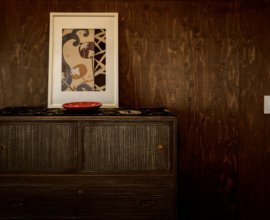 Prepare a light meal with your guests using fresh, local ingredients. 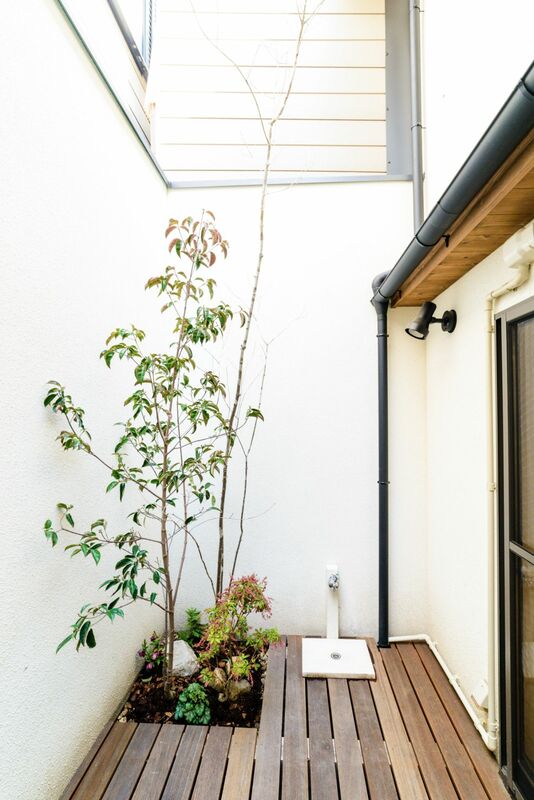 Garden The ‘tsuboniwa’ inner garden is a traditional feature found in Japanese machiya houses. 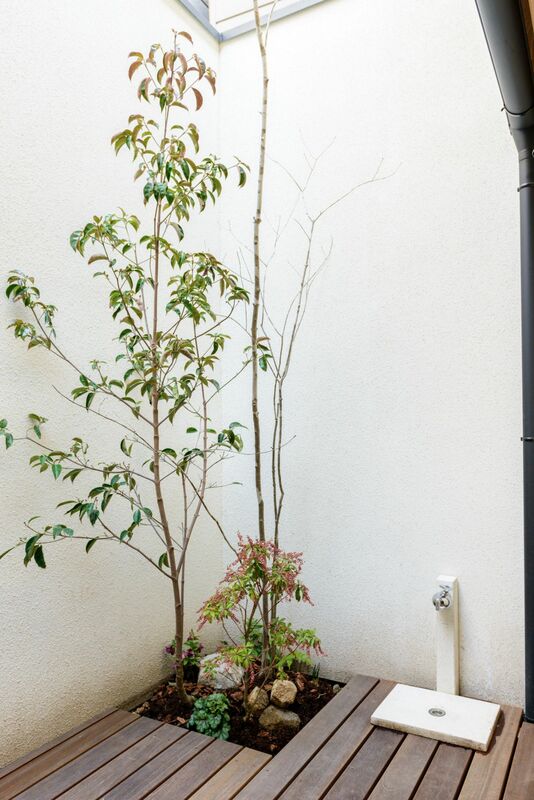 Also enjoy the serenity of the illuminated garden at night. 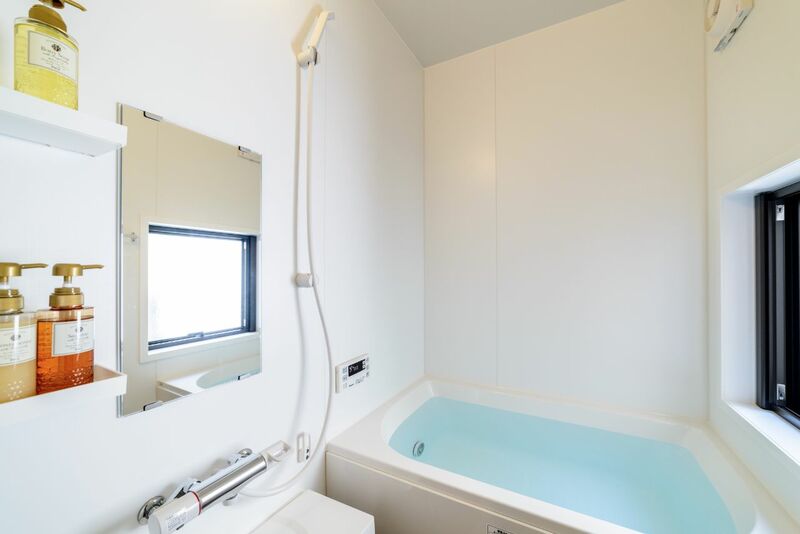 Bathroom This bright, all-white space is the perfect for place to refresh. 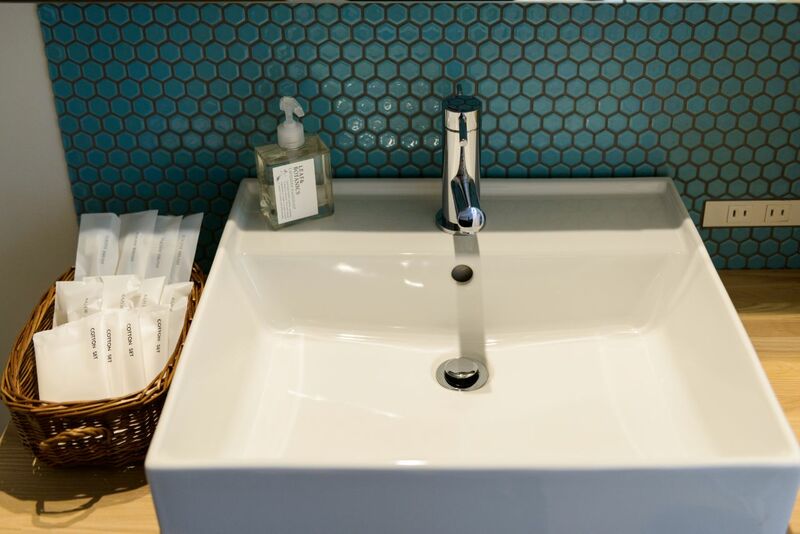 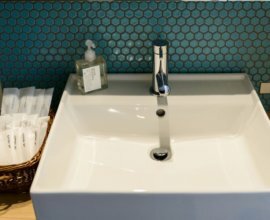 Using our luxurious bath amenities, rejuvenate after a day of traveling or pamper yourself as you ready for the day. 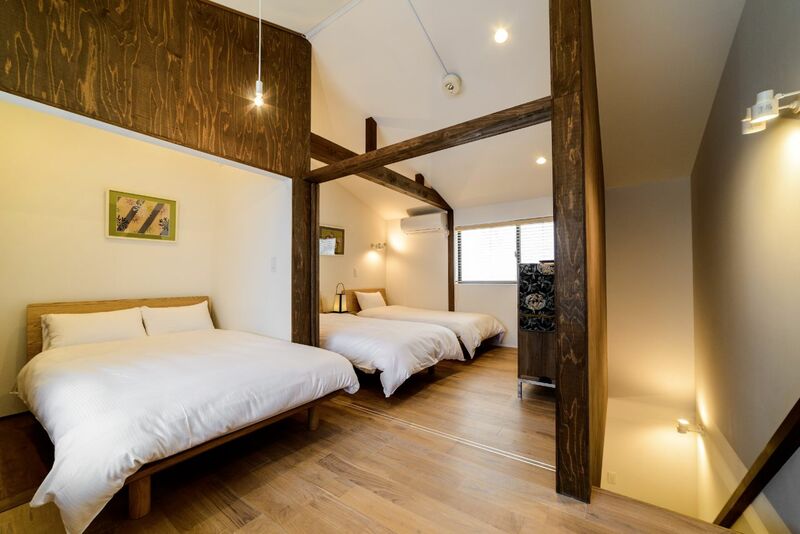 Twin Bedroom Draw your eyes up to the large wooden beam that stretches across the high ceilings. 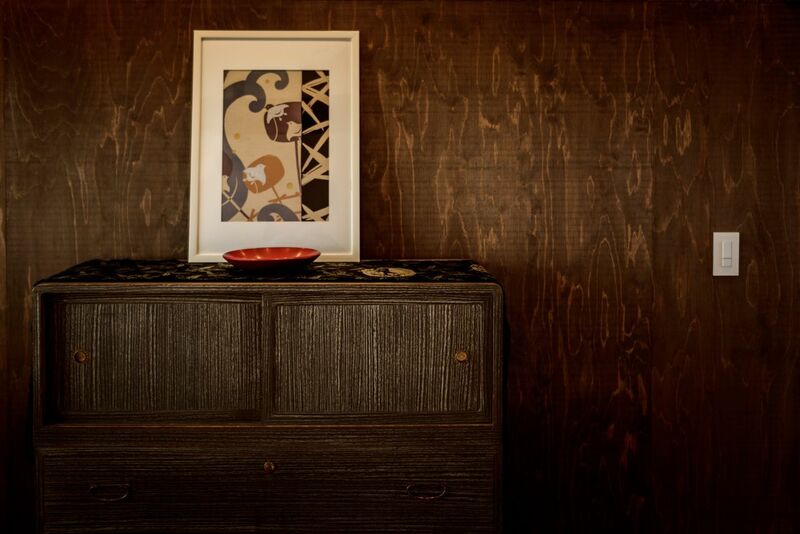 The woodwork brings richness and beautiful textures to this simple and elegant room. 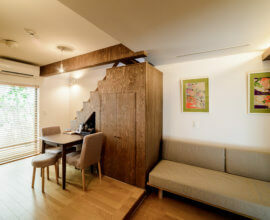 Bedroom Close the wooden door to create a private, calming bedroom with comfortable two upholstered chairs. 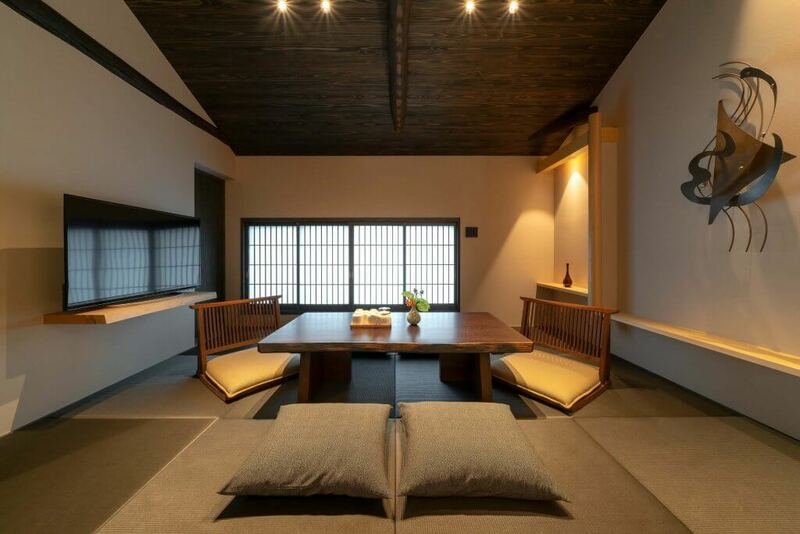 The skylight illuminates the space with beautiful natural light. 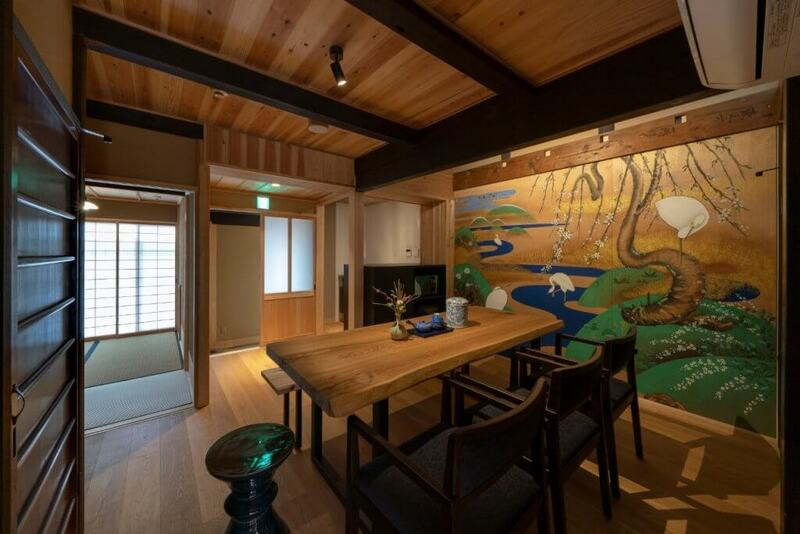 A 3-minute walk from Nishi Hongangi, a UNESCO World Heritage Site decorated with intricate and colorful carvings. 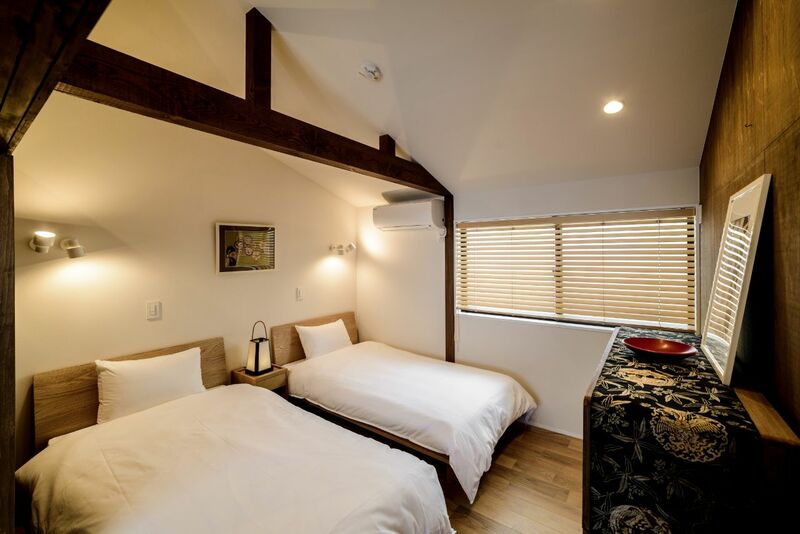 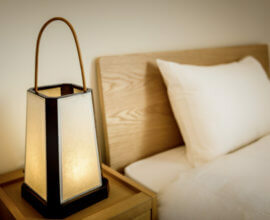 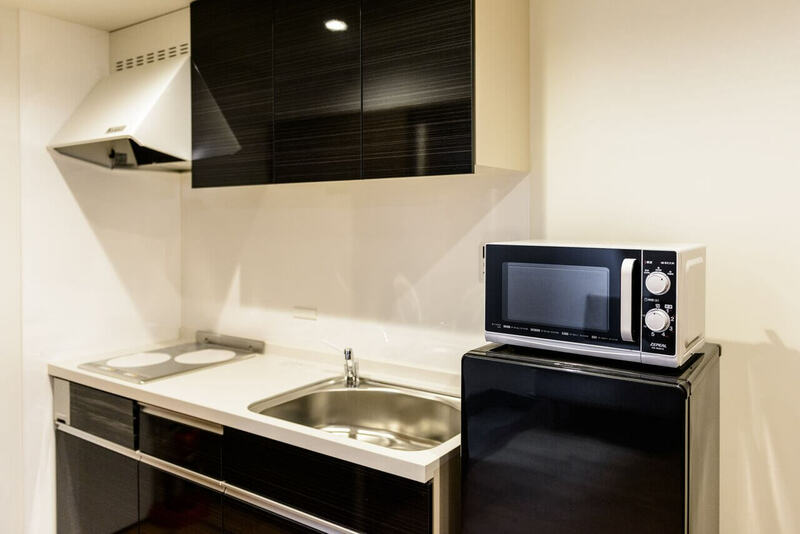 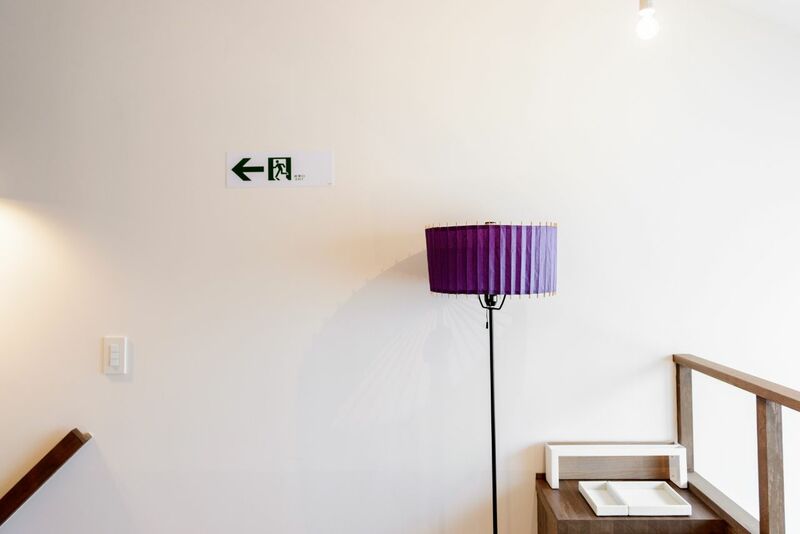 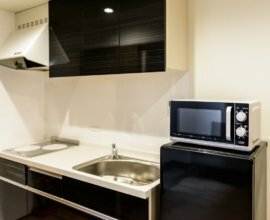 Just 10 minutes away from Kyoto Station by bus, Aoshida is located in an ideal neighborhood from where you can visit some of Kyoto's most famous sightseeing attractions, from Toji Temple, to gorgeous Shosei-en Garden just east of "Aoshida" machiya. 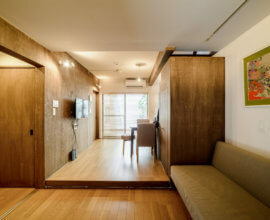 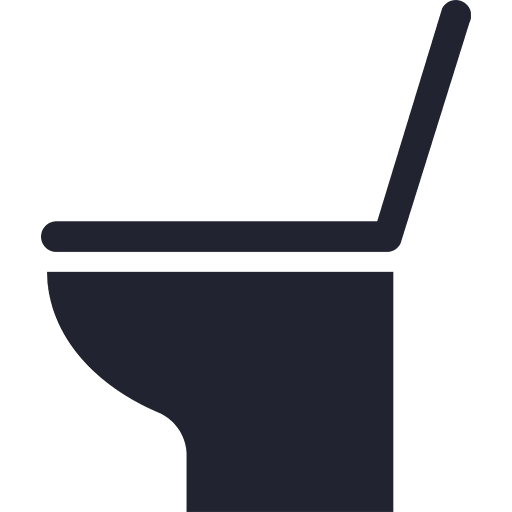 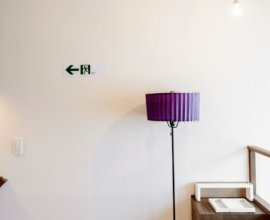 A leisurely walk, or a short bus ride will introduce you to all the city has to offer.